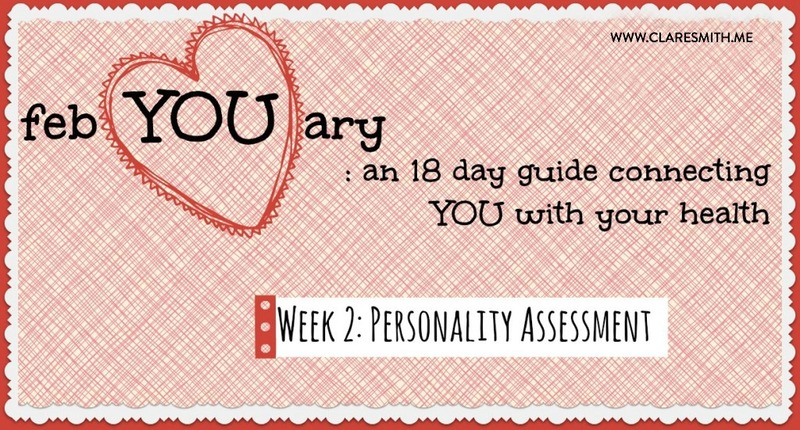 We are moving on to week 2 of “febYOUary“! How are you doing with your physical journaling? I am doing it with you and WHEW! IT has been a bit of an exhausting process! I have found that I eat a LOT during the day! LOL! It’s been good for me and I’m anxious to share with you what I learned through the process. Remember–I’d love for you to keep doing week 1 for the rest of our time. 1 week isn’t the best indicator of a normal month for us, so the more info we can gain, the better off we are! Let’s move on. This is where we get into some heavier things. This week will be a time of reflection. I ask that you find 10-30 minutes and grab a notebook, pen, drink of choice and a quiet spot. 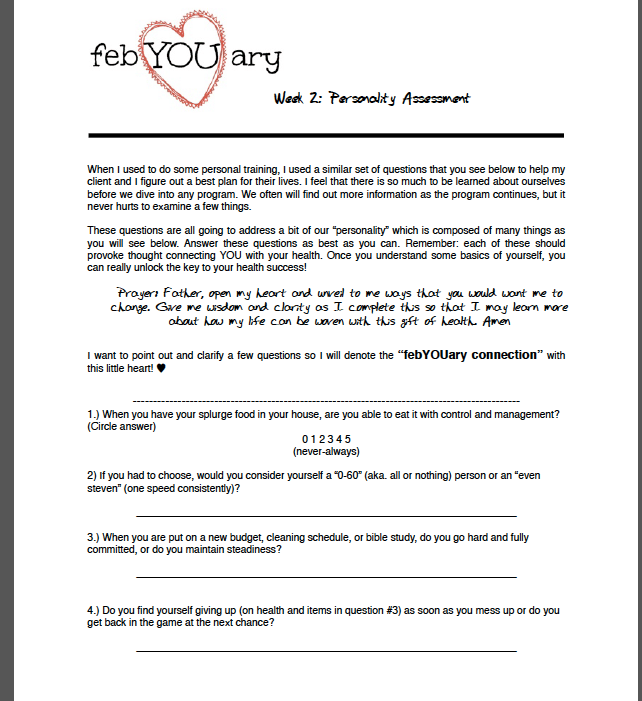 I’m going to take you through a set of 20 questions that I think will help each of us a little further in finding what works for us in regards to our health journey. —–> Print off this printable ! I’d love to hear your thoughts as you process the week. Please add any comments below! This was a very eye opening week. I have been very consistent in recording in the journal you made and myfitnesspal. I can see where a lot of changes need to be made in order to get where I want to be. I look forward to this new week to journal and fill out this sheet. Thanks for creating this. Oh my goodness, I am not a fan of the food journaling because I eat WAY more than I know I should. But I’m always happy when I do journal. I am totally an all or nothing type, in everything I do. Whatever it is, I put my all into it, a true perfectionist. It ends up biting me in the rear a lot of times though. How do you maintain and keep going? If I get discouraged or fall “off the wagon”, I find it hard to get back up. What do you do to keep motivated? I’m the same way and I’ve found that if I remind myself that nothing is going to change or get done if I give up I can keep going. Honestly it has come from years of just knowing I feel better when I get back on. iI treat each day as a new start as I’ve usually messed up on the day before. I also keep my end goal in mind, which is to steward my temple as best as I can so that when I see God face to face, I have full confidence. That is the best motivator! Ok Clare, I’ve kept up with food journaling faithfully all week. I’ve learned I eat about what I thought. That some food have more calories than I thought but that I average what I should for calories… But journaling made me think about food too much! I think I ate a bit more than I usually do because I was taking note… I also found when I had “Left over calories” instead of just thinking, “good deal” I thought cool what else can I eat. I think I self regulate a bit better with out the journal but it was a learning experience.. Thanks. As a former cross country and track athlete that hasn’t done much of anything you could call exercise in almost 3 years I’m surprised at how much I’ve learned about myself. Thinking back it was always easy for me to make fairly healthy choices when training and competing, but after stopping I got kind of lax. I’ve slowly started to realize how important other things are to my health and that running alone isn’t enough. After being injured multiple times, being told I have a muscle imbalance, and having knee surgery I’ve finally realized that maybe strength training, stretching and nutrition are important. Because I definitely have an “all or nothing” personality (but am learning the value of being consistent), I think the key for me is to get back into the habit of exercising regularly. Once I’m exercising more I usually want to eat better (I do have a weakness for sweets though). So, I’m doing Insanity and am excited for the day when I can run regularly again, do a “real” pushup and one day even a pullup. Haha, baby steps, right? Oh my finding the link to this challenge IS an answer to prayer! I’When I started my health journey last summer, getting in the healthy weight range for my heigth was my goal. My motivation was to get active so I wasn’t so tired and out of breath anytime my boys wanted me to play. I’ve lost 40 lbs and not skinny but healthy And smack in the middle of my healthy bmi range. Now it’s those last 10 lbs and toning I’m struggling to do. I feel I’ve reached my goal but making a new one that’s God honoring (I don’t it to be to look good in a swimsuit) has been a struggle. I actually kept up with the journaling. The food wasn’t a suprise because I do that normally. The cravings added an interesting twist, but I’m not sure I had a significant enough result to make changes reflective of it. I wasn’t as consistant as I should have been, but like everythime I’ve journaled there are always a couple of meals that shock me with how many calories they are. They SEEM healthy. 🙂 I am so of the all-or-nothing-mindset that you linked. And so easily discourage when I don’t see quick results. Anxious to do the personality assessment when I have some quiet time. OK, I finished my assesment… It revealed some things I hadn’t thought about before… I do, do so much better in a group setting as I have a bit of a competive side and when someone is leading me… but I live “in the middle of nowhere” and group exercise isn’t an option. Using a DVD is seldom avaiable as most of my exercise must be done outside so.. in place of that I have found I need a plan. If I have a routine written down I’m more likely to push myself to follow it. I’d love some ideas to making good workouts. The trick is I have no equiptment and no gym I can go to. Just the great outdoors… So for me often I have a challenge finding good workouts I can actually do. Sweet Ma, this is going to be my workout today and it requires no equipment. 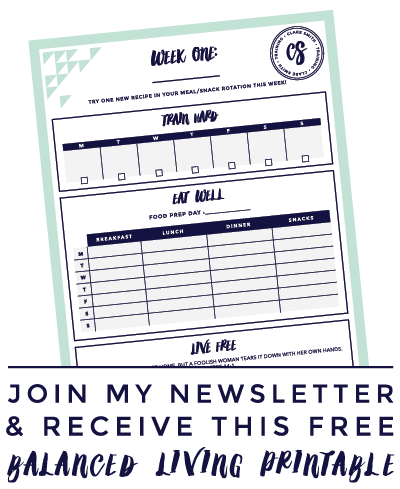 Clare also has a lot of great workout printables on here too. Thanks Nikki! I’m doing this next week! I have a few options and printables here. You can check my pinterest page here! There’s a jump rope circuit, upper and lower body printable, everyday household workout and more! I would also take my laptop or ipad outside and do videos out there if you can. Revelation Wellness has some great youtube resources. She is a Christian and has great at home workouts!! The thing that stood out the most from this assessment for me was “If you find that a group setting enhances your workout and keeps you more accountable, then why aren’t you doing it?” Exactly, why aren’t I doing it? I even have a gym membership – but I haven’t set foot in the gym for several months. I have my excuses – I have a dog at home that I need to let out at the end of the day so I haven’t wanted to go to the gym after work. But I could always ask my mom or a friend to let him out for me one or two days a week. I just need to do it! I really think that will be a big step toward exercising regularly again. My goal: attend a kickbox cardio workout Saturday morning. Thanks, Clare!